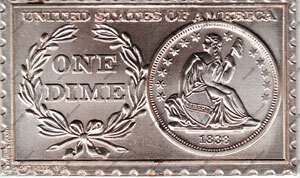 Dime - a coin of the US and Canada, worth one tenth of a dollar or ten cents. Don't get subtle, Buster. Subtle guys are a dime a dozen. All they do is make trouble. People who can write good books are not a dime a dozen.